Today's Image of Mars is a perspective view of Solis Planum, looking southeast, as taken by the High Resolution Stereo Camera (HRSC) aboard the European Space Agency's (ESA) Mars Express spacecraft on May 23 2004. In this photo you can see part of a heavily eroded crater, which has a diameter of 53km and a rim that is around 800m high. 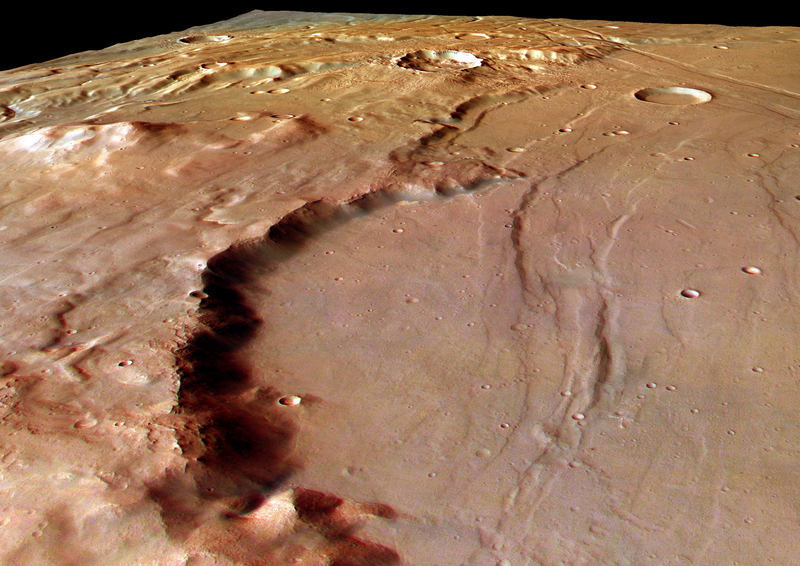 Solis Planum is located in the mountainous Thaumasia region of Mars, just southwest of Valles Marineris. I highly recommend clicking on this image so you can see the it full screen and zoom in. It truly is remarkable!